One of the best dishes I’ve eaten in Portland is the short rib entree at Olympia Provisions. Brendan and I went with my parents when they were in town last month, and three out of four of us ordered the short ribs. Luckily they did not disappoint. They arrived looking absolutely incredible, covered in a thick, savory sauce and studded with salty olives and chewy lardons of bacon. When I googled the dish, it turned out that not only is it printed in their cookbook, it is available online, too. Reading over the recipe quickly revealed why the ribs were so savory — the ingredient list includes just about every umami pantry item in existence. Dried mushrooms, anchovies, olives, tomato paste, balsamic vinegar, and 8 whole cups of chicken stock are reduced into that thick, rich, practically syrupy sauce. 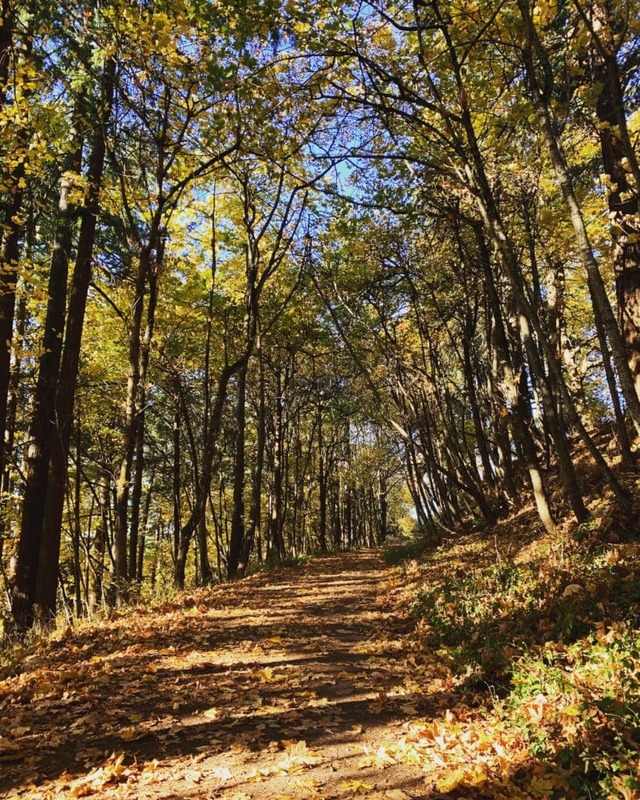 We went on a hike up Mount Tabor while the short ribs cooked. 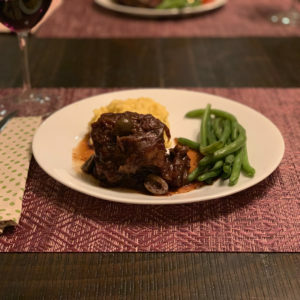 For this version, I pared down the ingredient list significantly, modified the amounts to suit pressure cooking rather than oven braising, and shortened the cooking time from about 6 hours over two days to just under two hours from start to finish. You can even start these in the morning, leave them on Keep Warm all day, then finish the sauce at dinner time (it needs only 15 minutes to reduce, since far less broth is used). 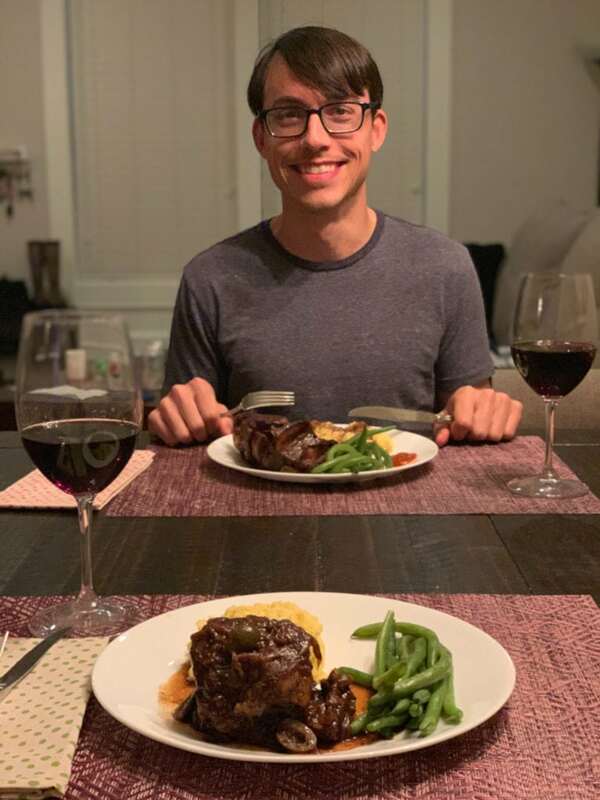 What resulted were the best short ribs I’ve made in my Instant Pot to date. 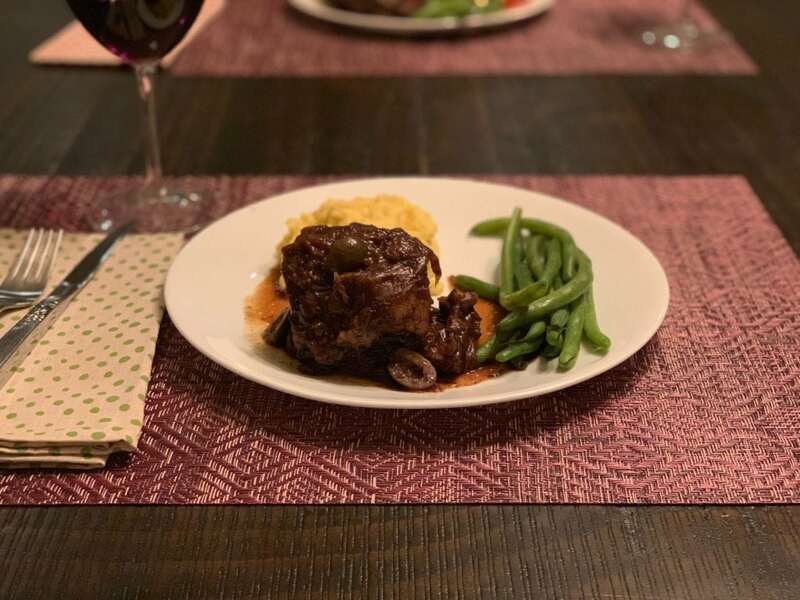 The sauce was restaurant-salty, so I served the ribs with a lightly seasoned cauliflower mash and plain steamed green beans. It was such a good combination, and I cannot wait to make it for company. Instead of dried porcini mushrooms, I used one of my favorite shortcut ingredients: Magic Mushroom Powder, courtesy of my buddy Michelle and her blog Nom Nom Paleo. It’s an awesome time saver, adding a savory punch without the need to revive dehydrated mushrooms in boiling water. You can make your own batch, buy a jar at Whole Foods, or leave it out if you like. I do think it adds that extra something, though! I love sneaking it into braises, soups, and stews. One thing to keep in mind with this recipe is that it contains a few ingredients that contain natural sugars (onions, tomato paste, and balsamic vinegar) and have a tendency to scorch if not cooked with enough added liquid. 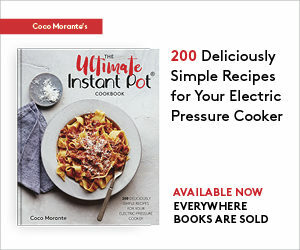 It works perfectly in a 6-quart Instant Pot, but you’ll need to add an extra half cup of broth or water if you’re using an 8-quart Instant Pot. You’ll also need to work quickly once you stir up the cooking liquid, adding the short ribs back and closing the pot before too much liquid has a chance to evaporate. Oh, and make sure your silicone gasket is in tip top shape, and is seated properly inside the lid! Serve these ribs with steamed vegetables like I did, or pair them with roasted potatoes a la Olympia Provisions for an over-the-top decadent meal. There’s a recipe for Crispy Smashed Potatoes in my latest cookbook that would be perfect if you’re looking to splurge. 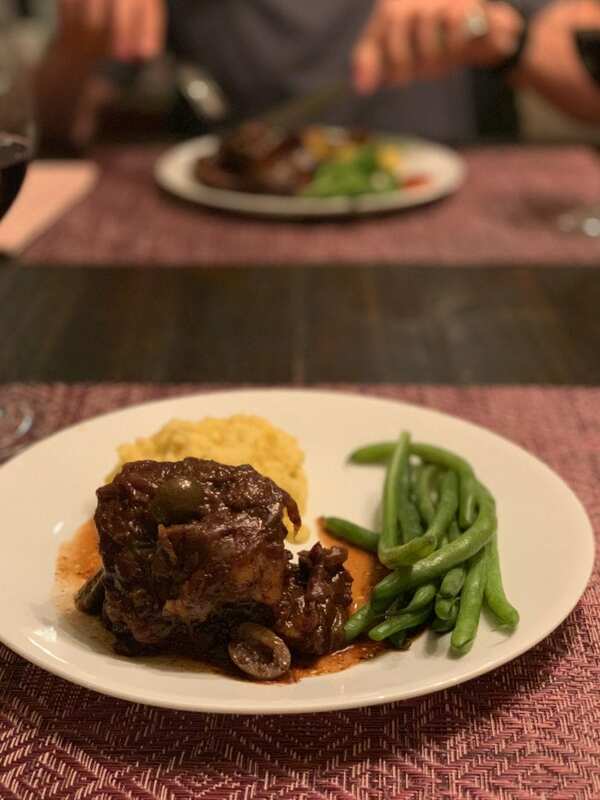 Super savory and delicious short ribs, made in 2 hours with the Instant Pot. In a bowl or liquid measuring cup, stir together the broth, vinegar, tomato paste, and mushroom powder ‘til thoroughly combined. Pat the short ribs dry with a paper towel, then season them all over with the salt and pepper. Select the Sauté setting and heat the tallow or oil in the Instant Pot for 2 minutes. Using tongs, lower half of the ribs into the Instant Pot, searing them for 4 minutes per side (8 minutes total). Transfer to a dish and repeat with the rest of the ribs. Add the onion and olives to the pot and sauté for 5 minutes, until the onion is softened and translucent. Pour in the liquid mixture, using a wooden spoon to nudge any browned bits from the bottom of the pot. Add the short ribs back to the pot, turning them around with tongs to coat them in the cooking liquid. Work quickly so that not too much of the liquid evaporates. Arrange the short ribs in as even a layer as possible (you may need to stand them on their ends to fit). When the cooking program ends, let the pressure release naturally (this will take about 30 minutes). Open the pot and, using tongs, transfer the ribs to a serving dish and cover with a lid or aluminum foil so that they stay warm. Wearing heat-resistant mitts, lift out the inner pot, strain the cooking liquid into a fat separator, add the cooking liquid and solids back to the pot, and discard the fat or save it for another use. Return the pot to the housing. Cancel the cooking program, then select the Sauté setting and reduce the sauce for about 15 minutes, until about 2 cups of the sauce remain. 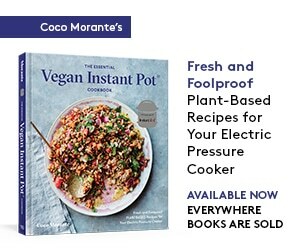 Cancel the cooking program to turn off the pot. Spoon the sauce over the ribs and serve. Magic Mushroom powder is available at Whole Foods, or you can make your own! If you can't find Castelvetrano (mild green) olives, use regular black olives instead. Enter your email address to subscribe to my recipes, reviews, and how-to's!